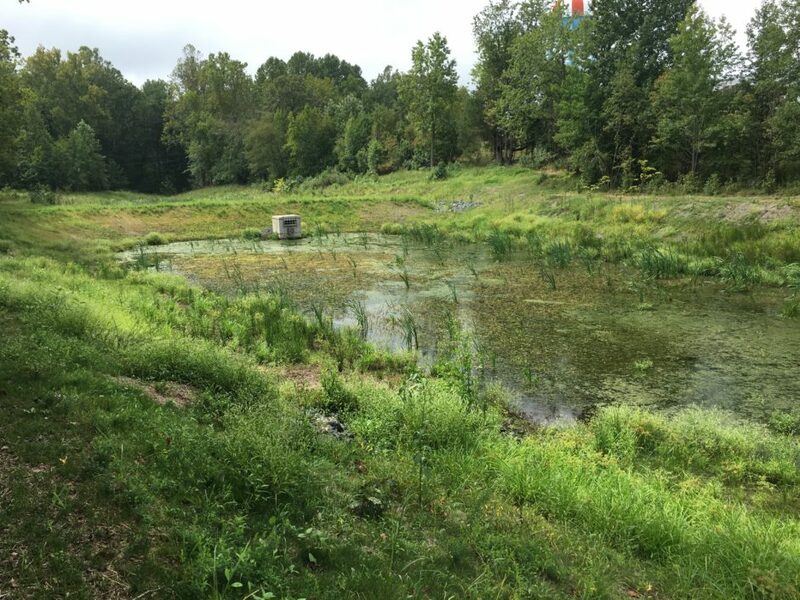 Cheltenham Youth Facility – Pond & Site Stabilization – Brudis & Associates, Inc.
Environmental Resources Investigations: BAI conducted wetlands and waters of the US delineations in the study area and developed a wetland delineation report and mapping. Wetland delineations were conducted in accordance with USACE Wetland Delineation Manual and 2012 Coastal Plains Regional Supplement. Prepared and submitted agency consultation letters to the MDNR-Natural Heritage Division and US Fish and Wildlife Services to determine the presences of rare, threatened or endangered species. BAI also coordinated with Maryland Historical Trust to determine the historical resources within project area. 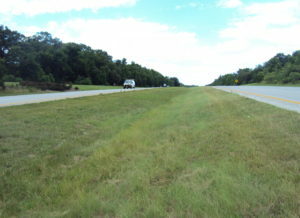 Concept and final reports included all environmental resources information. Hydrologic and Hydraulic Analysis (H/H): BAI conducted a detailed H/H analysis for the existing pond and proposed alternative. 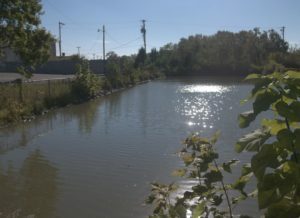 The proposed design consists of a pond that meets current MDE standards, criteria, and regulation for safety as well as water quality and quantity treatment. The design of permanent pool and the extended detention were based on WQv calculations. The proposed pond included pre-treatment forebay, main ponding area, safety benches, marsh areas, access road, multi stage concrete riser structure with principal spillway, and emergency spillway. 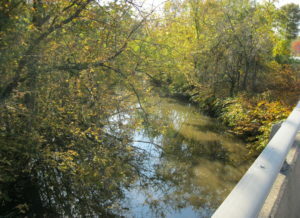 Environmental site design (ESD) concepts were used to stabilize the site, and stream downstream of pond was also restored. 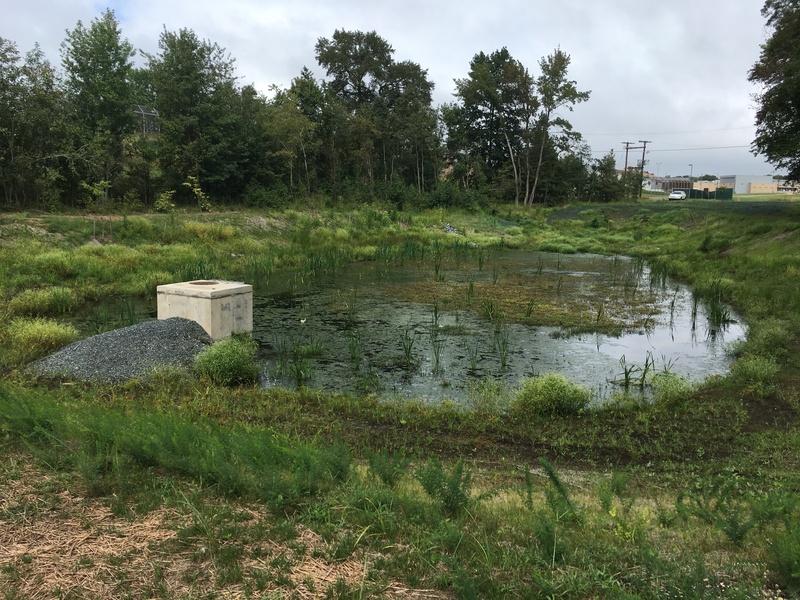 Stormwater Management (SWM) and Erosion and Sediment Control (ESC) Plans: BAI prepared SWM and ESC plans for the proposed pond renovation and determined the limit of disturbance and submitted them to appropriate regulatory agencies for review and approvals. Environmental Permitting Services and Permit Coordination: This task included preparing a Joint Federal State Permit Application (JPA) with impact plates for the Cheltenham Retrofit sites that incorporated the wetland and waterway boundaries and SWM/drainage/ESC designs. 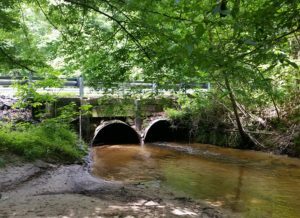 BAI’s team prepared and submitted all necessary documentation and calculations to support JPA application, ESC plans review, stormwater management review, and dam safety reviews to MDE and US Army Corp of Engineers. BAI coordinated with regulatory agencies to address comments received at each stage of submittal. Final Design, and Bidding/Construction Phase Services: BAI’s team developed final design construction documents for the retrofits, and provided construction phase services. BAI attended pre-bid meetings, pre-construction meeting and reviewed shop drawing submissions. BAI attended construction progress meetings, resolved construction problems and provided a final inspections, punch list and certifications of as-built conditions.